You may remember that my last post was all about the newly opened 'Handbag Clinic' on Mosley Street, Newcastle (here). I was lucky enough to be invited along to the launch and spent the night drinking fizz and drooling over Chanel...perfection! 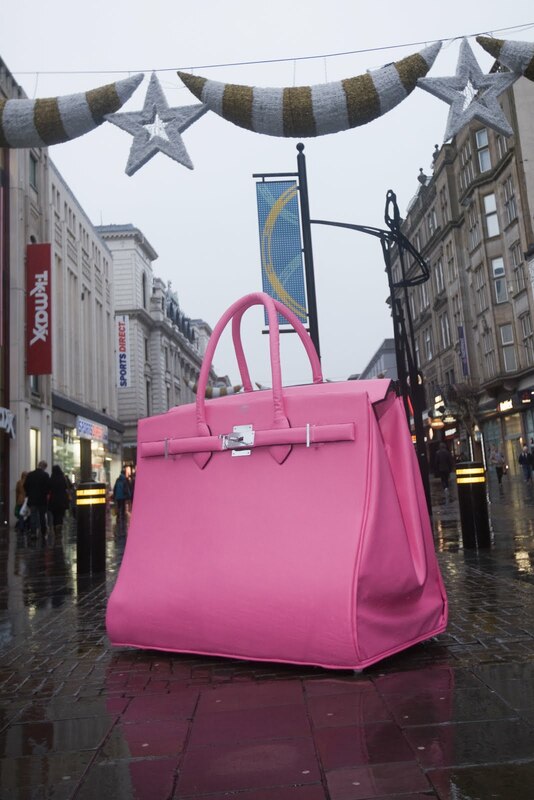 Well, if you're visiting Newcastle City centre this weekend, you'll be fortunate enough to see the GIANT replica Hermés Birkin bag that the store's craftsmen and woman have created from scratch to coincide with the launch of the new store! Made from vinyl, the Birkin replica stands at 6ft by 5ft and took just two weeks to make. It's so big you could fit all of your Christmas shopping inside and there'd even be enough room left for you to have a lie down in it yourself (although finding someone to carry it might be difficult!). Apart from the change in material, the design of the bag is completely true to the original; it even carries the recognisable Birkin clasp. You can visit the bag at Monument this Saturday (19th December) and whilst your there, why not visit the Handbag Clinic if you have a bag needing some repair or maybe want to treat yourself to a new handbag love! THC specialise in the repair and restoration of leather accessories as well as stocking both vintage and preloved items from some of the world's most famous fashion houses-they even have a Hermés Kelly bag ready to be taken home! To find out more about The Handbag Clinic, you can visit their website here. 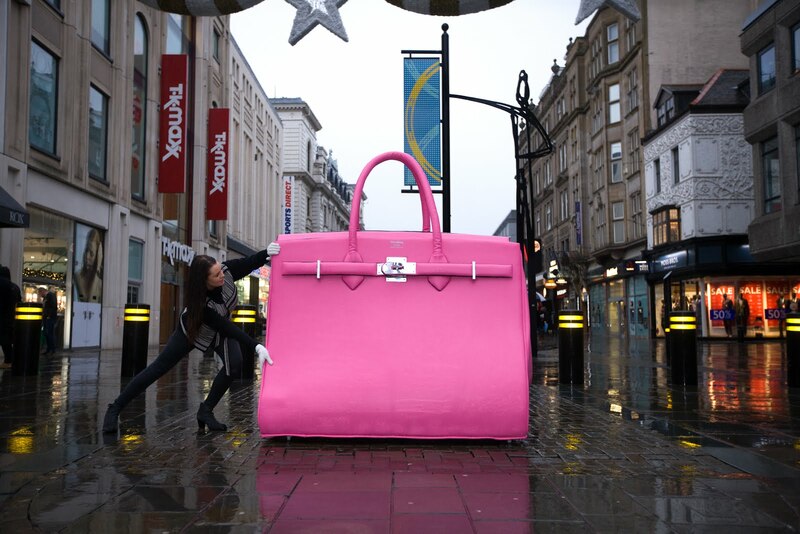 That's it for now-I'll see you all at the pink handbag!! Woah, that is trippy. When I first saw the photos I was like, wow what a nice normal bag. And then I noted all the tiny people and I was like, oh. The bag is such a contrast to the rest of the road though, haha.